WELCOME TO THE COACHING TO GREATNESS JOURNAL! 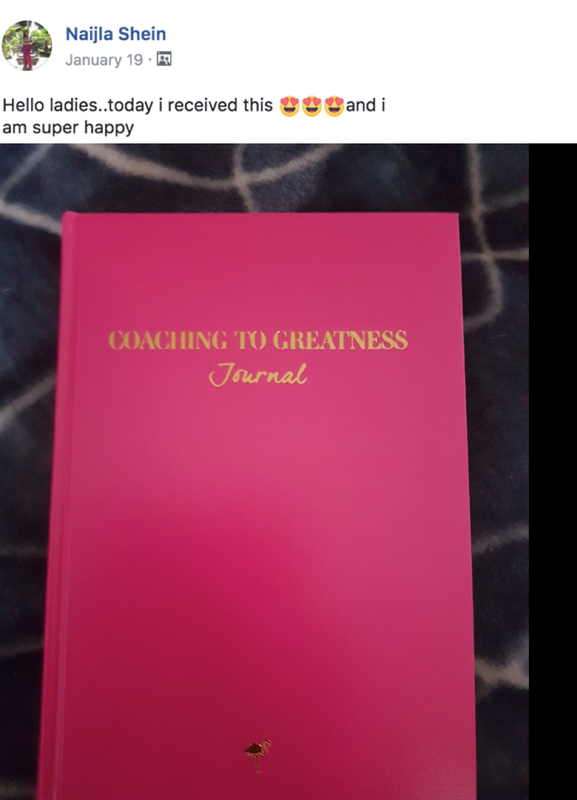 Coaching to Greatness Journal is your ultimate tool to become a masterful coach and ensure your clients get massive results. Inside its pages, you'll find not only inspirational quotes and a place to easily store notes from client sessions, but also activities, action steps and opportunities for reflection that will sharpen your skills as a coach. 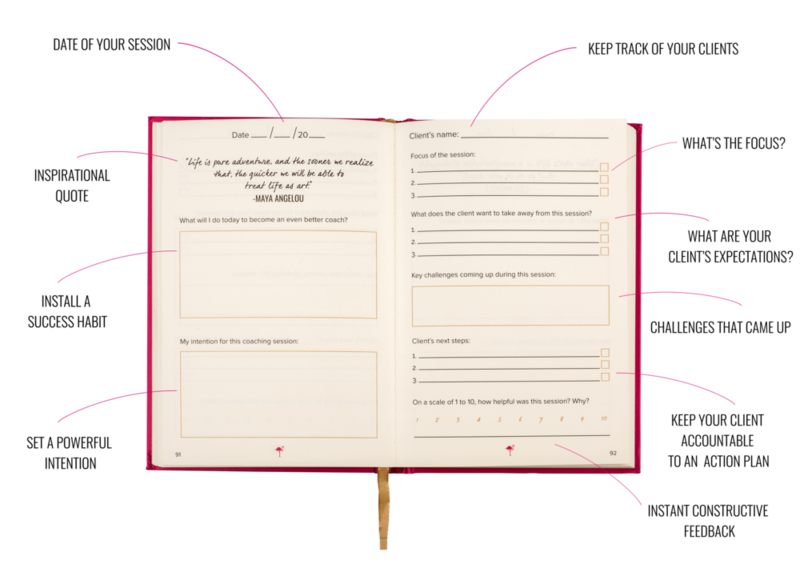 This journal will help you get clear on the desired outcome of each session with a client, create a relevant action plan, ask powerful questions, and so much more! COACHES WITH THEIR CTG JOURNALS. 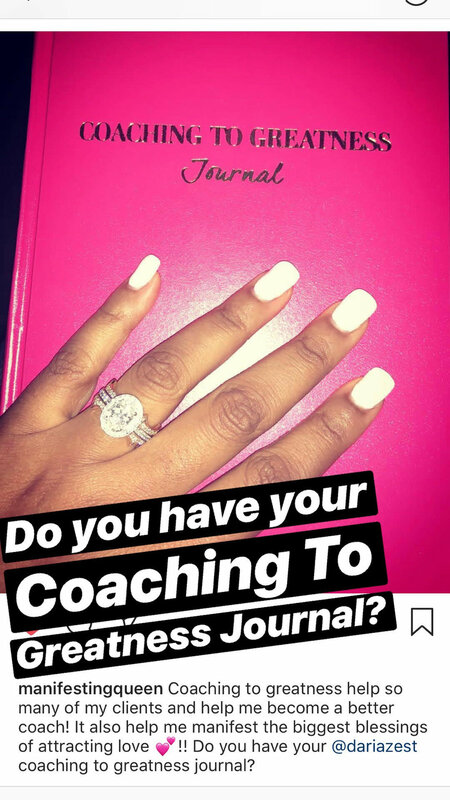 HOW TO USE YOUR COACHING TO GREATNESS JOURNAL? 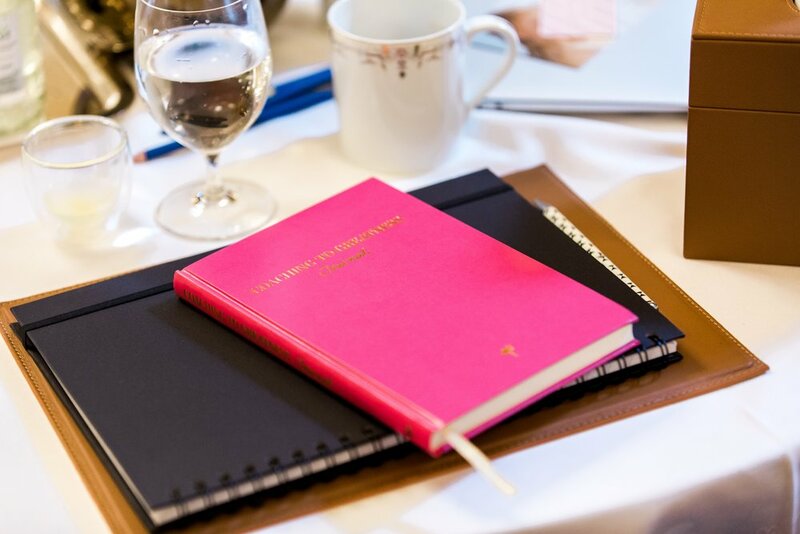 Now you can keep all of your notes about your clients in one organized place, set yourself up for success before each coaching session with a solid mindset ritual in place, and run your sessions like a pro helping your clients achieve amazing results. WILL IT HELP YOU BECOME A BETTER COACH? Get clear on the desired outcome of each session. Establish trust with the client. Be fully present with the client. Actively listen to your client. Be clear and concrete in your communication. Help your client become self-aware. Create an action plan related to the desired outcome of the session. Keep your client accountable to their goals. Always know what was great about the session – and what you could do better next time. 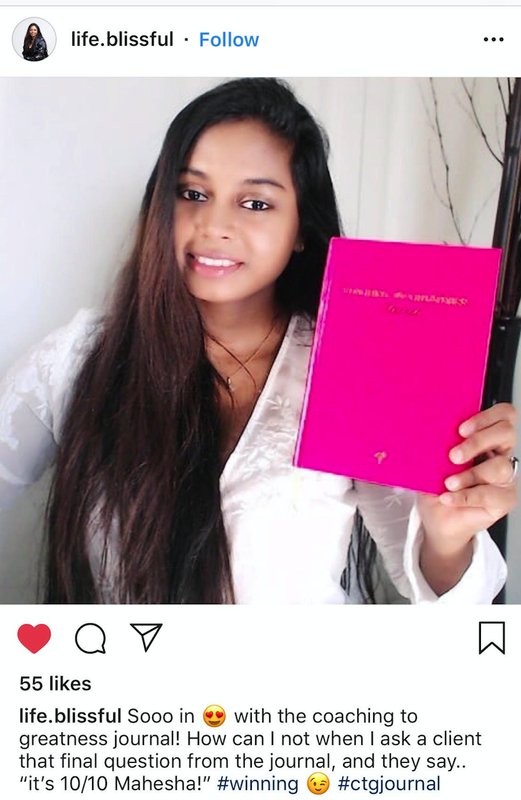 ⌄ DO YOU SHIP INTERNATIONALLY? Yes, we ship worldwide for FREE! For Europe, you should expect your order in 3 - 5 business days. For the rest of the world, the shipping takes 10 - 15 business days. Please note that delivery timeframes quoted do not include any delays experienced with customs clearance at the border or local carriers. ⌄ CAN I RETURN MY ORDER? Yes, we are happy to offer a return policy on orders within 14 days after you've received your order. We have very low return rates and we are proud of our products. However, we understand that you might want to return your order and are more than happy to accommodate your return. Please note, you will have to bear the cost of returning the journal. Items should be returned unused and in the packaging provided. Returns that are used will not be accepted. To initiate a return, please contact us at info@dariazest.com and we will assist you to send you a replacement order and/or refund your original order. ⌄ HOW LONG DOES SHIPPING TAKE? For Europe, you should expect your order in 3 - 5 business days. For the rest of the world, the shipping takes 10 - 15 business days. Please note that delivery timeframes quoted do not include any delays experienced with customs clearance at the border or local carriers. ⌄ HOW LONG DOES THE COACHING TO GREATNESS JOURNAL LAST FOR? The Coaching To Greatness Journal lasts for 80 coaching sessions. ⌄ WHAT IS THE COACHING TO GREATNESS JOURNAL MADE OF? The Coaching To Greatness Journal cover is made from a high qaulity faux leather material. ⌄ DO YOU OFFER A DISCOUNT ON BULK ORDERS? Please reach out to us at info@dariazest.com and we'd be happy to help!